The cost cap is still fuelling speculation of a breakaway F1 championship, and Lotus adds to the fire with a lease of its namesake. The Litespeed Formula 3 team is just one of a full handful of new teams vying for a spot in the 2010 cost-cap F1 grid. However, it has a unique motor behind its bid - Lotus. The team, led by F1 guru Mike Gascoyne (who coincidentally grew up near the Team Lotus factory at Ketteringham Hall), has apparently been given permission to 'use' the Lotus name by rights-holder David Hunt for its F1 bid. The Litespeed team, based at Racing Technology Norfolk in the UK and founded by former Lotus engineers Nino Judge and Steve Kenchington, has already enlisted the engineering services of former Lotus F1 driver Johnny Herbert. 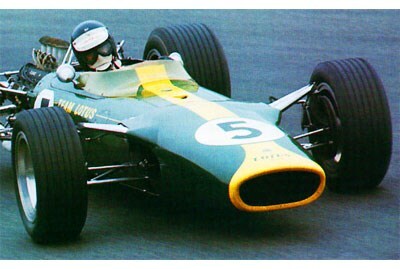 How they will benefit from the moniker is yet to be revealed, but seeing as the Lotus F1 team, established originally Colin Chapman, won seven world championship titles in its day, the name carries some heavy cred. But whether a mere name is enough to secure a spot in the tight bidding war is another thing altogether.